Hitachi Data Systems Corporation (HDS), a wholly owned subsidiary of Hitachi, Ltd., has released its Business and Technology Predictions for Asia Pacific in 2016. According to Adrian De Luca, chief technology officer of Hitachi Data Systems Asia Pacific, enterprises will experience major digital transformation next year as they strive to improve a host of key tech and non-tech functions. 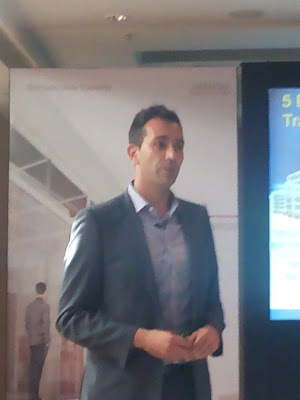 “Digital transformation is fast becoming an organizational issue. It is no longer just CIOs who are championing the need for digital change, but leaders across all business functions. For example, CMOs are finding that traditional ways of marketing are not as effective any more, while CFOs are discovering that consumer and supplier transaction models have shifted. There is now an almost universal understanding within businesses that all functions need to look at how they transform their own practices through digitization,” said De Luca. He cited digital transformation, smart cities, cross modal IT, multicloud, and skills shortages as the five key trends that will continue to shape both the IT and business landscapes in Asia Pacific for 2016. There has been a resurgence in confidence among CIOs that they will see more of their revenues flowing through digital channels. According to the Gartner CIO Agenda Insights report, only 16% of CIOs last year expected the revenues in their business to flow through digital channels, but that has more than doubled this year to 37%. This is recognition of the fact that digital initiatives are not just coming from the CIO, but from all functions of the business that are creating their own platforms and hiring digital natives. Today’s CMOs no longer go to the IT department to build their systems. They go directly to the providers and acquire them as a service. The same is true of businesses as a whole. Rather than waiting for a vendor or a competitor to develop a new platform, organizations are building and actively disrupting their own current systems. Smart cities have been a topic of interest for a long time in Asia Pacific, with many countries in the region rolling out their own initiatives to tackle everything from public safety to improved transportation. However, it has become apparent that few governments have the experience or the financial means to build and run these initiatives on their own. 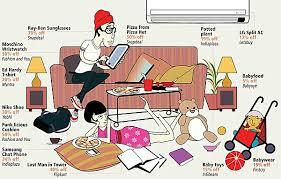 Instead, they are partnering with major industry players who are investing deeply in the Internet of Things (IoT). By bringing their own intellectual property, assembling ecosystems of technology providers and integrating them together, they can develop the solutions needed to make these cities a reality. This means that smart companies will act as the catalysts for making smart cities a reality, as governments open the door through initiatives like Digital India, Smart Nation Singapore, and Digital China. The business opportunities for companies in the sector are huge, with the annual smart city investment in technology alone set to quadruple to US$11.3 billion by 2023, according to Navigant Research. It is now recognized that there are two modes that IT organizations can follow to meet the needs of the digital enterprise. 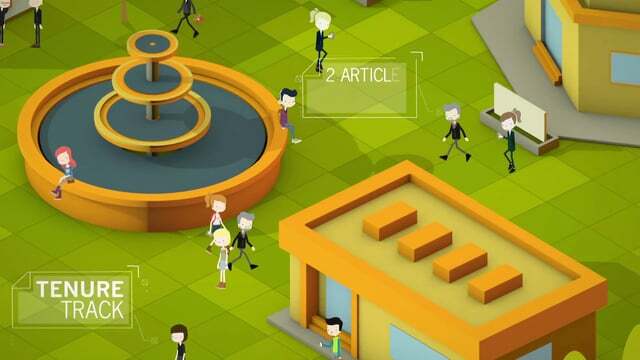 Mode 1 – Applications that handle traditional systems of record – such as CRM and ecommerce systems. These systems are built around predictability, accuracy and availability, given the sensitive data they hold. 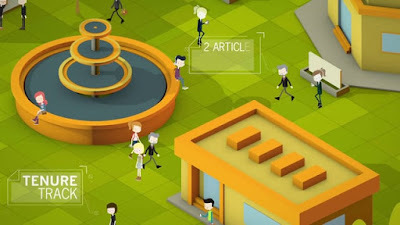 Mode 2 – Systems of insight, that are more exploratory such as big data analytics. They give a perspective of what is going on inside a business – enabling users to test certain hypotheses by layering datasets over each other. These systems emphasize agility and speed, giving organizations the ability to quickly and inexpensively test ideas, throw away anything that doesn't work and test out new ones. The need to fuse these two modes together to become cross-modal will intensify. Especially as organizations strive to continually optimize the cost of running their systems and incorporate their systems of insight into new business processes and customer interactions. The companies that will realize the greatest benefits will be those that are able to use agile methodologies in their workforce and offer quick-to-build application programming interfaces (API) of their business services. Businesses that also successfully build data lakes across their digital assets and standardize their infrastructure will do well, too. According to De Luca, the emerging Trans-Pacific Partnership (TPP) promises to bring significant benefits to economic trading conditions within Asia-Pacific. To realize the full potential of this agreement, investment in technology infrastructure to connect these economies will be critical. Several companies are already expanding data center capacity to cater to the growing use of cloud computing. They are also investing in improving cross-border, high-speed connectivity. The creation of direct routes between key areas like South East Asia, Australia and the United States of America is well underway. “This opening up of the market will have an impact on how businesses consume cloud and expand the options that they have today. 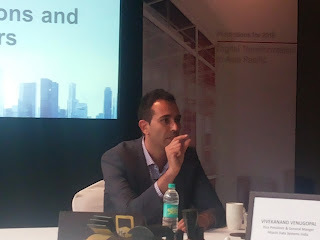 With as many as 70% of organizations either using or evaluating hybrid clouds nowadays, as well as provisions in the TPP to protect offshore data and avoid electronic duties, creating a multicloud across continental borders to allow businesses to expand becomes viable,” said De Luca. Several factors will impact the technology employment market in 2016, forcing many organizations to look at how they will fill the talent deficit to continue to innovate and remain competitive. Addressing the IT skills shortage will not just be about pumping out more IT graduates with in-demand skills like data science. Appealing to the interests of the best young talent while investing in increasing the productivity of existing employees will be critical to bridging the gap over the long run. "The working practices of ‘Gen Z’ workers are vastly different from those before them. With this generation expected to work an average of 17 jobs in their lifetime, they will develop a broader variety of skills as well as be exposed to multiple industries during their careers. Companies will need to figure out how to tap into this. They are driven more by their contribution to society than the logo of the company they work for,” said De Luca. Governments recognize this economic imperative and generational shift by changing the labor market, introducing new tax incentives and passing laws to allow for easier investment, such as through crowdsourcing. Continual learning is also becoming a focus for governments, with Singapore investing SG$1.2 billion (US$0.9 billion) in technology development to drive improvements within its public sector. In addition to De Luca’s predictions for Asia Pacific, Hu Yoshida, global chief technology officer of HDS, has revealed on his blog his predictions about the top 10 global IT trends for 2016. 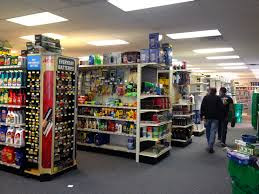 JDA Software Group, Inc., has announced that Ace Hardware will expand its JDA footprint with JDA Space and Category Management solutions which include JDA Floor Planning, JDA Category Knowledge Base (formerly Intactix Knowledge Base), JDA Web Publisher and JDA Assortment Optimization. The investment demonstrates Ace’s commitment to continuously improving the shopping experience for its customers as well as Ace’s confidence in JDA, a long-standing solution provider to Ace. 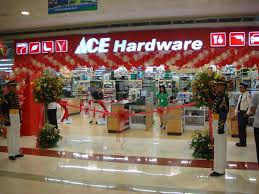 With more than 4,800 hardware stores locally owned and operated across the globe, Ace is the largest hardware cooperative in the industry. Ace selected JDA due to its ease-of-use and deep analytical capabilities and its 20-year history of success leveraging JDA solutions. Ace’s existing JDA footprint includes JDA Space Planning, JDA Advanced Warehouse Replenishment as well as a broad implementation of JDA Demand and Fulfillment, where the initial implementation yielded a $27 million reduction in inventory and $475,000 annual savings in decreased space requirements. Historically, Ace Hardware relied on manual, spreadsheet-based planning processes for assortment and store layout planning. Improving the customer experience requires more floor, space, and assortment plans, so Ace also selected JDA Category Knowledge Base to simplify, support, and synchronize their category management data, plans, and processes. Not only will JDA Category Knowledge Base improve category management visibility and drive planner productivity, but with JDA Web Publisher, Ace will be able to more effectively communicate with stores and distribute plans and revisions. Campus Management International, a leading provider of enterprise software products and services for higher education, has announced that Maharashtra Institute of Technology (MIT) group, one of India’s top-ranked group of educational institutes, has chosen CampusNexus – including CampusNexus Student; CampusNexus CRM and CampusNexus Finance, HR & Payroll – to transform its operations and improve student recruitment and retention. Through its CampusNexus suite, Campus Management International will enable MIT to implement programs focused on recruitment and retention, centralizing and automating key processes and administrative functions, and improving student services. 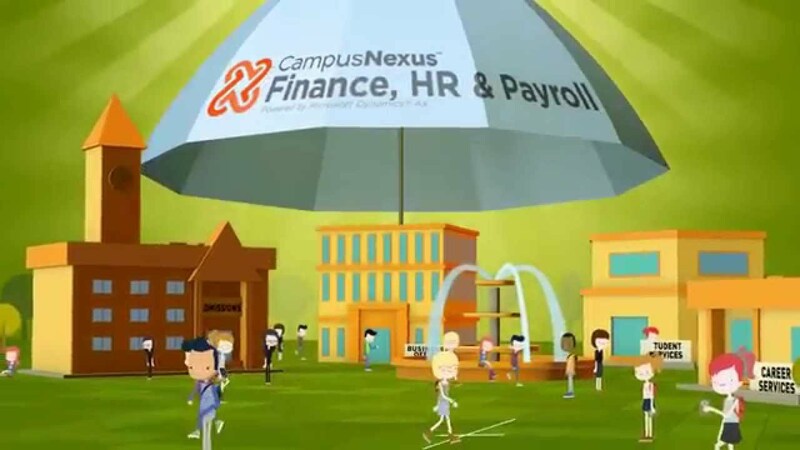 From an operational perspective, nearly every department and job function (admissions, academics, student accounts, finance, human resources and payroll, inventory management, procurement handling and compliance management) will benefit from the efficiencies, data and access CampusNexus provides. “Our work with Campus Management International goes well beyond the typical customer / vendor relationship. A formidable partner, Campus Management International, provides us with the flexibility necessary to deliver innovative educational models, increase meaningful communications with students and prospects and better manage back-end functions, without increasing resources. Ultimately, CampusNexus will help MIT group to take the lead in establishing new standards for student service in the higher education sector in India,” said Dr. Sunil Karad. Executive Director- MIT Group of Institutions. Prasanna Purple Mobility Solutions, a pioneer in surface mobility solutions with over 25 years of experience in passenger mass transit operations, today announced the automation of all its business operations using the Tally.ERP 9 software package from Tally Solutions Pvt. Limited (TSPL). The company is now covering a range of operations, from accounting to multipart inventory management using Tally.ERP 9. The company, which operates an array of mobility solutions like City and Intercity buses, Bus and Car rentals, corporate and school bus services, was facing challenges in effectively managing their operational costs and inventory with the ERP that they had deployed, which required hiring exceptionally trained man-power which was extremely expensive to on-board. In 2012, after a year of struggling with their existing ERP solution, the company started using the inventory module in Tally.ERP 9, a software they had so far used only for financial accounting. After using Tally.ERP 9, the company significantly optimized their revenue within 6 months of solution deployment, while reducing downtime of vehicles. With Tally.ERP 9, the company could now track spare part life and mileage of each vehicle with greater precision, thus reducing spare parts costs from over Rs 50L to about INR 35L. Fuel consumption which was earlier at 40% decreased by 2% as the lifespan of each spare part could be tracked and replacements could be done well in advance. The company’s procurement process became much smoother and streamlined, with the ability to handle 4000 spare part records for their Pune office alone. The time to manage their multipart inventory reduced by 80%, while overall efficiency in managing operations increased by over 50%. “We have seen phenomenal results in our business after switching over to Tally.ERP 9 from ‘Oracle Financials’ ERP," said Prasanna Patwardhan, Chairman & MD, Prasanna Purple Mobility Solutions Pvt. Limited. 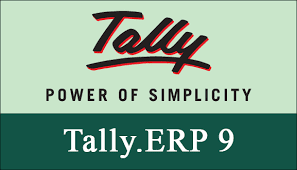 “With its ease of use and cost effectiveness, Tally.ERP 9 has helped us to achieve remarkable results in inventory management and overall operational efficiency,” he added further. Tally Integration partner, Dexterity Techsys Pvt. Ltd., implemented Tally.ERP 9 for Prasanna Purple Mobility Solutions and customized Tally’s inventory module to make provision for capturing data related to Odo Meter reading, Daily running and Standard Life of spare parts in kilometres. This helped the company take corrective actions in operations. The customized solution also provided a unique report that could forecast the Replacement of Spare parts there by helping the management in preparing their Monthly Procurement plan. This almost eliminated loss of time between the generation of requirement and transport of the required spare parts to the repair shop and in turn led to significant reduction in downtime of vehicles and increase in the revenue. 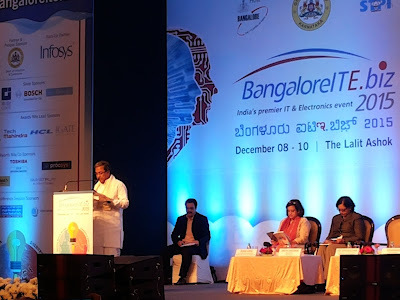 The tech-savy state of Karnataka will incubate about 20,000 startups by 2020 to create six lakh direct and 12 lakh indirect jobs, Chief Minister Siddaramaiah said on Tuesday. “We are setting up a start-up cell as a one-stop-shop to help young entrepreneurs float start-ups and guide them in launching their ventures as they will have little knowledge of corporate affairs,” said Siddaramaiah. 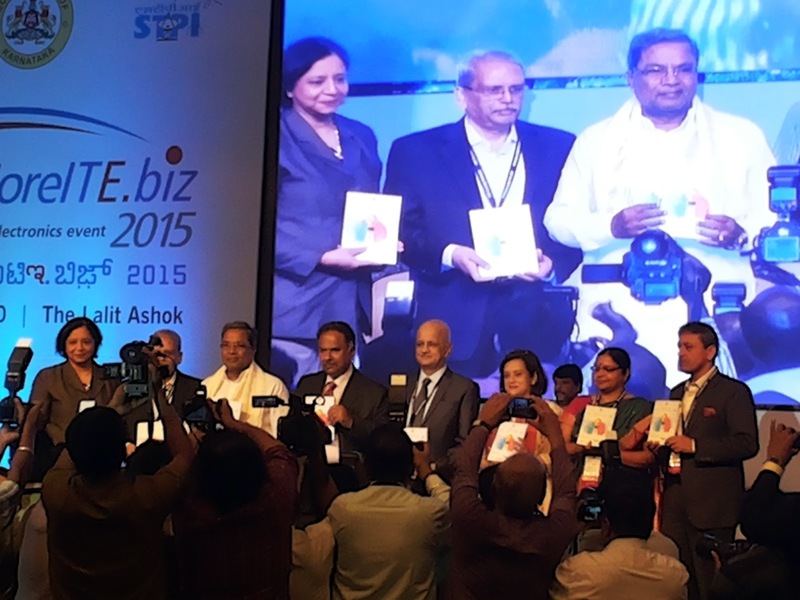 The 18th edition of Karnataka’s premier IT summit, BangaloreITE.biz 2015 kicked off on Tuesday with the government reinforcing its commitment to reposition Karnataka, especially Bengaluru, as the IT capital and the innovation hub of the country with its startup initiatives. 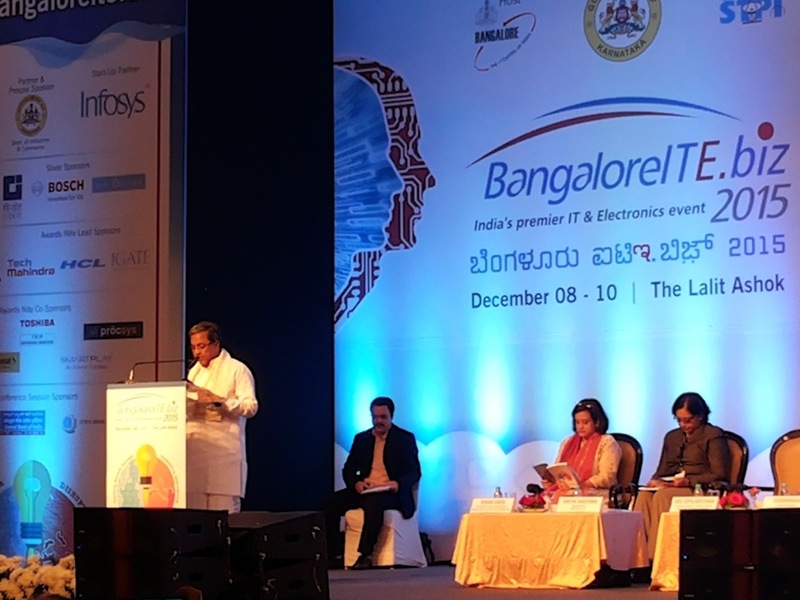 Inaugurating the event, Siddaramaiah said the state will incubate about 20,000 startups to create six lakh direct and six lakh indirect jobs. “As part of this initiative, we are setting up a startup cell as a one-stop-shop to help young entrepreneurs float startups and guide them in launching their ventures as they will have little knowledge of corporate affairs,” he said. Noticing the flourishing startup ecosystem backed by major IT companies, the state government came up with its startup policy 2015-2020. The policy promotes entrepreneurship by setting up incubation centres, visualises partnership in research and development, and finding early stage funding. “With hundreds of entrepreneurs setting up startups here, Bengaluru is emerging also as the country’s startup capital after it became the IT capital over a decade ago,” he said, adding the government has constituted a startup council under his chairmanship to review the implementation of the startup policy and give feedback. The Karnataka startup policy, which covers IT, BT and manufacturing sectors, is the outcome of the state government’s ‘Karnataka I-4’ initiative that was launched in 2014. Speaking at the event, Principal Secretary, Department of IT, BT and S&T, Manjula V (IAS) said the startup policy envisages to bring its ecosystem beyond Bengaluru. 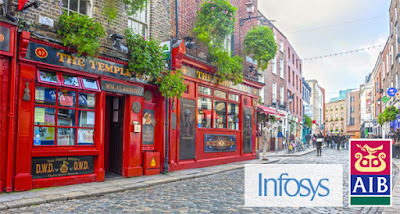 Software services giant Infosys will expand its operations in Ireland, doubling the number of staff in the country to 500 in three years and setting up its first product-centric research and development centre outside India. “I am delighted to welcome 250 new jobs at Infosys. This is a vote of confidence in Ireland, our great workforce and our reputation as a hub for technology and innovation,” said Irish Prime Minister Enda Kennym. The expansion will see the Bangalore-headquartered firm create up to 95 roles at its first dedicated product-centric research and development (R&D) centre outside India, and open a second Irish facility to house up to 155 people who will provide IT services to Infosys clients. The new roles are in addition to more than 250 employees that are already working for Infosys in Ireland. Infosys intends to develop new technologies and support innovation in global financial institutions as part of the expansion plans, which have been supported by Ireland’s Department of Jobs through IDA Ireland. “Much like Ireland, Infosys has based its growth on a foundation of education, lifelong learning and a deep commitment to innovation. 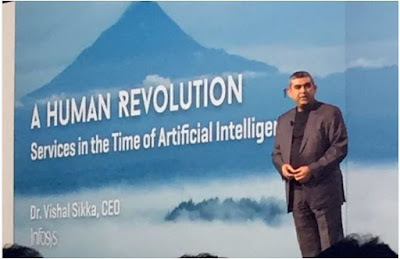 Infosys is already working with clients in Ireland helping them explore new ways of working and advancing, by embracing technology-led innovation,” said Vishal Sikka, CEO and managing director of Infosys. India’s digital commerce market is likely to touch US$128 billion in 2017 from the current level of US$42 billion on the back of higher mobile and Internet penetration and mobile-commerce sales, says a study. “Increasing mobile and Internet penetration, m-commerce sales, advanced shipping and payment options, exciting discounts, and push into new international markets by e-businesses are the major drivers of this unprecedented growth,” said a joint study by Assocham-Deloitte. 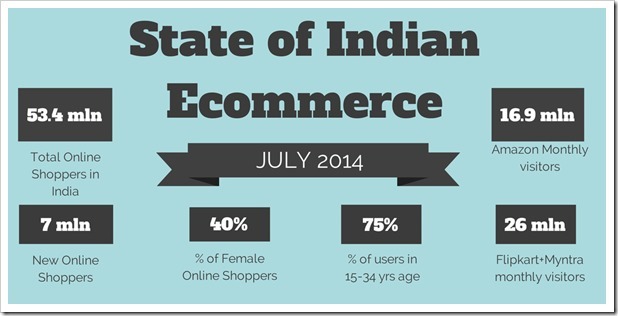 The Indian digital commerce market is expected to reach $128 billion in 2017 from the current level of $42 billion, it added. However, Assocham Secretary General D S Rawat said the supply chain and logistics in e-commerce business are highly complex to manage in a vast country like India where infrastructure is not well-developed to reach every remote and rural area. “The taxation policies for the e-businesses are not well-defined depending on different business models and transaction type. The complexity has further amplified with transactions happening across borders for online selling of goods and services,” said Rawat. The e-commerce companies are building communities on social media networks to better understand customer needs and drive effective marketing strategies, the study observed. It also said, the government’s ambitious ‘Digital India’ project that aims to offer a one-stop shop for government services will further bolster the sector by introducing internet and broadband to remote corners of the country and increase trade. This initiative through a targeted investment of nearly $17 billion will transform India into a connected economy, attract investment in electronics manufacturing and create millions of jobs, said Rawat. The study further pointed out that dedicated e-commerce laws are required to address issues in the sector’s legal and regulatory framework and banks must play a leading role as ’facilitators’ by offering cost effective cash management solutions, secure payment gateways and other relevant banking services. New York headquartered Genpact Limited, a multinational business process outsourcing and information technology services company, is planning to set up its 5th centre in India by next year and also contemplating to recruit 10,000 people in India by 2016. As one of the largest analytics providers worldwide, Genpact had already have four centres -- Hyderabad, Bangalore, Kalkatta and Gurugoan and is hiring 12,000 people every year, Genpact Financial Services Analytics Head and Vice-Presiden, Mr Amit Bhaskar said told reporters after signing a MoU with Hyderabad-based ICFAI Business School (IBS),one of the top tier business schools in India, to develop an analytics and research program for its students here today. 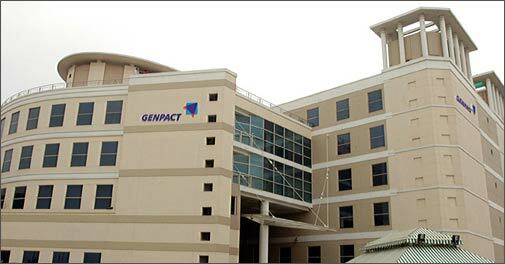 Business solutions provider, Genpact Ltd, will be 3,000 in Hyderabad, said the officials. He said a memorandum of understanding (MoU) has been inked with ICFAI Business School (IBS), Hyderabad to develop an analytics and research programme for its students here on Monday. The location of the proposed new centre has not been decided. Referring to the MoU, Bhaskar said there was huge demand and supply gap in analytics. 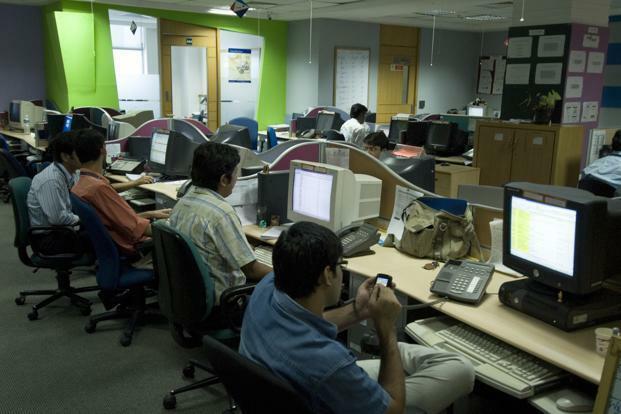 Genpact alone hires 1,400 to 1,500 in analytics every year globally, he said. As part the understanding, experts from Genpact will train students of MBA at IBS to specialise in analytics. "Upon successful completion of the programme, students will be eligible for employment in analytics practice at Genpact,’’ he said, adding that they however, will have to undergo regular selection process of the company. In the next 12 months, Genpact is also planning to forge more partnerships with academic institutions in the UK, US and Australia, among others. According to S Venkata Seshaiah, Director, IBS, the partnership will help students to understand industry happenings and make them ready to take up challenging jobs. Social networking sites like Facebook, Twitter and WhatsApp have played a crucial role in spreading messages to help marooned citizens in flood ravaged Chennai, with many offering voluntary services and establishing contact with loved ones through these medium. 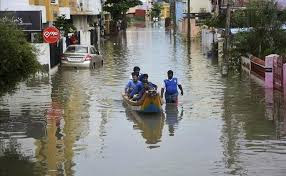 A Twitter user, Shreyasi Ghosh took to the social media to seek help for a pregnant woman in heavily waterlogged Mudichur near Tambaram. "VERY URGENT. PREGNANT LADY IN LABOUR PAINS. NEED VOLUNTEERS. PLEASE RT.#ChennaiRainsHelp," Shreyasi tweeted from her handle @gshreyasi. The message saw immediate reactions as offers for help poured in and the woman was transported to a hospital. The news of her having delivered a healthy baby boy was also posted on sites. 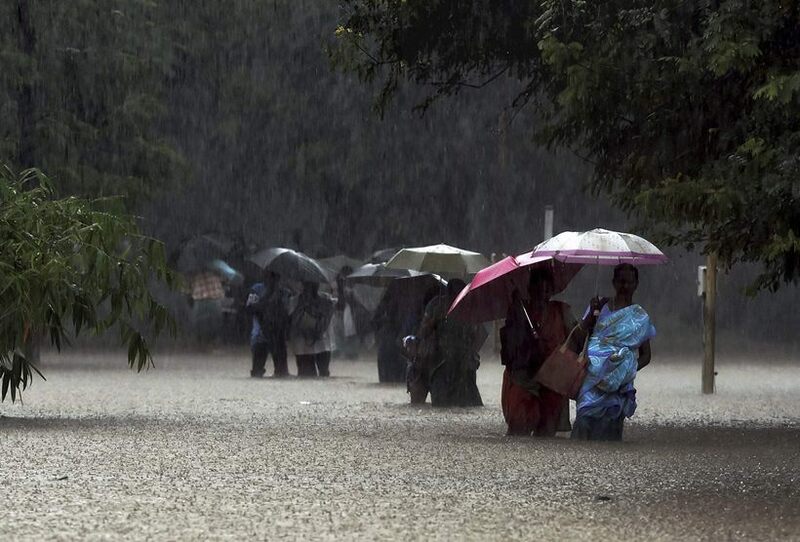 One Sravanti @sravi_sam tweeted: "My heart pains for those women.. Undergoing labour and are giving birth to the little souls in these devastating situations:(#Chennairains)". The networks also came in handy for those in low lying areas who sought help from government officials and volunteers. "@ChennaiCares These are basic necessities essential and medical that are required immediately.#ChennaiRainsHelp," another user wrote, sharing details about essential items. Users also shared details about availability of milk, water, clothes and towels on social networking sites. Another user @AidsOffered said, "Pandian Stores, Village Road #Nungambakkam selling #towels,#underwear, #blankets at no profit rates call 044-2827 2940." Mobile handset maker OnePlus has partnered with Ola to enable users to purchase its OnePlus X handset through the taxi aggregator's platform. 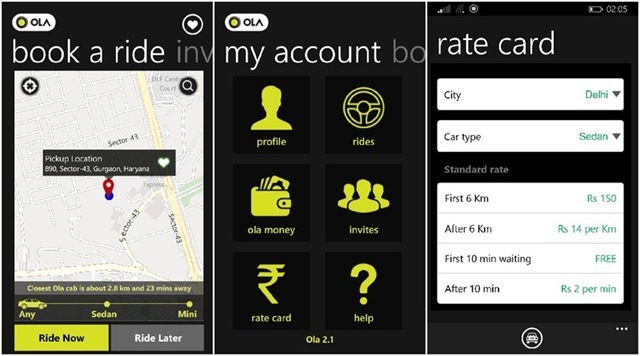 This is the first ever instance in India where consumers can purchase a smartphone without an invite for a day and have it delivered at their doorsteps within 15 minutes of placing the order, Ola said in a statement. The offer will go live on the Ola mobile app only on December 8, 2015, across seven cities - Delhi-NCR, Mumbai, Pune, Bengaluru, Hyderabad, Kolkata and Ahmedabad, between 1000 hours and 1900 hours. 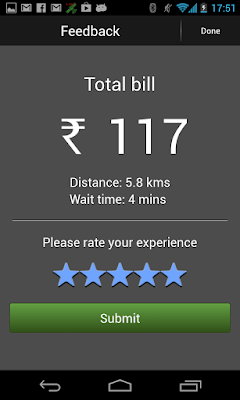 By clicking on the 'ONEPLUSX' category icon, an Ola cab will arrive at the customer's location along with a representative from OnePlus with the smartphone. Customers will get a choice of paying for their OnePlus X handsets through cash (Cash On Delivery) or credit/debit cards. 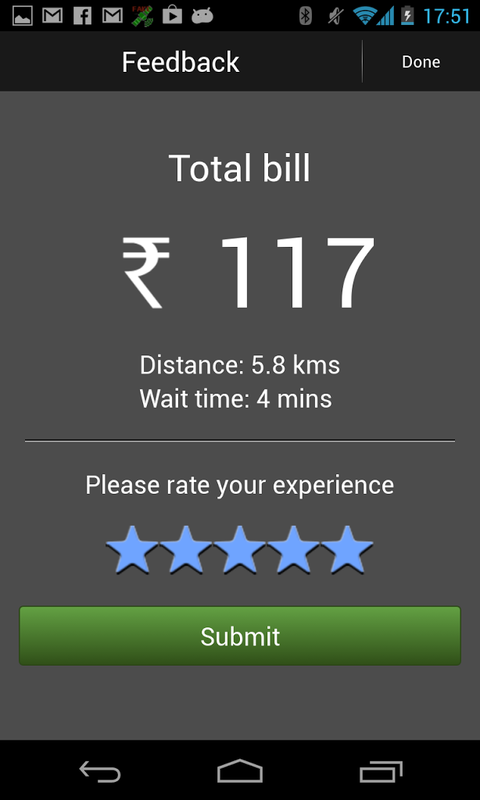 "We continue to deliver unique experiences to delight our consumers by giving users a chance to buy a smartphone on-demand, straight from the Ola app and get it delivered at their doorstep within minutes," said Sudarshan Gangrade, Ola Vice-President - Marketing. Currently, the OnePlus X is exclusively available on Amazon.in through an invite only route. "People love our products and we are enhancing the experience by making it even more convenient for our fans to get their hands on an OnePlus phone now," said Karan Sarin, OnePlus Marketing Head (India). Accenture is teaming with Code.org to support global participation in Hour of Code, one of the world’s largest educational events, designed to prove anyone can learn the basics of coding, have fun doing it, then continue learning beyond one hour. Thousands of Accenture employees around the world have pledged to complete nearly 8,000 Hours of Code during Computer Science Education Week (December 7-13). This number is expected to grow as Accenture employees commit to an Hour of Code and volunteer to work with teachers and Code.org to help students learn the basics of computer science at local schools and events through fun, game-like online lessons. 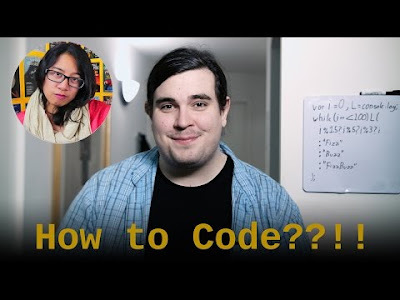 Organized by Code.org, the Hour of Code brings together more than 350 partner organizations and tens of millions of students in every country around the world. The campaign culminates with a massive coding event the week of Dec 7-13, with 191,000 registered events. 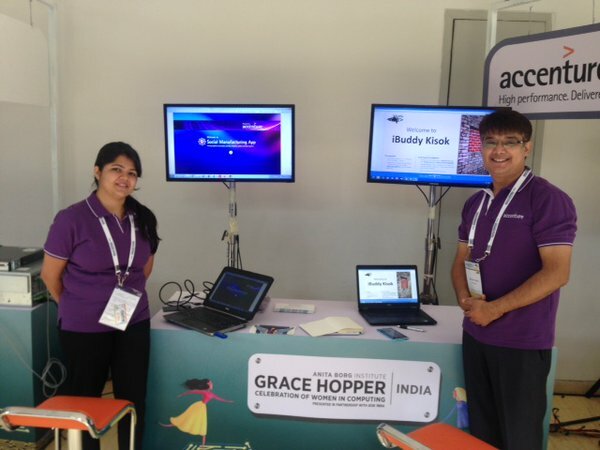 The goal of the grassroots movement is to empower every student in every school with the opportunity to learn computer science. By starting early, students will have a foundation for success in any 21st-century career path.